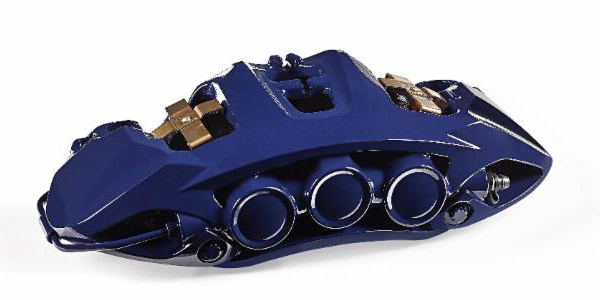 Brembo has introduced an aesthetically revolutionary brake caliper for the high performance road car market at the New York Auto International Show. Designed with the latest technology, this new brake caliper stands out for its extremely innovative design and efficiency, which has always been a key feature of Brembo braking systems. The innovative design is the result of a rigorous study to create functional products with engaging shapes. The result is a weight decrease of 8 percent compared to a caliper used on supercars with the same stiffness. A significant savings of 400 grams per wheel was realized. This reduction in mass allows this caliper to reach the highest ratio of light weight/stiffness ever, for a cast aluminum caliper for road use. The weight optimization ensures an improvement in the performance and behavior of the car, as well as a material consumption reduction, because the unsprung weight has been decreased. 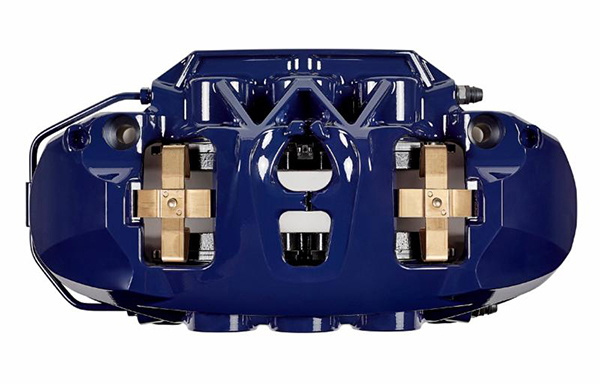 Brembo was able to draw from over 45 years of motorsports experience working on the caliper’s geometry to reduce the mass of the areas not subject to stress during braking. 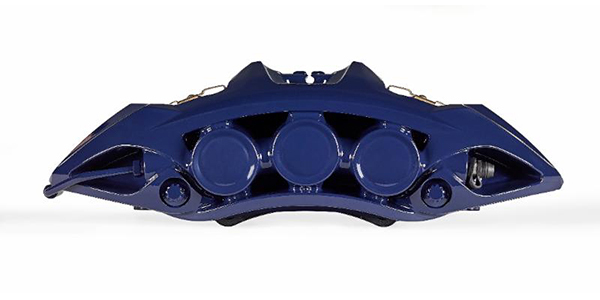 Brembo deployed the use of topology optimization for a cast aluminum caliper used on road cars. Topology optimization is a software tool that allows Brembo engineers to simulate the stiffness of a component and identifying the excess material. The result of this software, used for some time in the design of racing braking systems made from billet aluminum, is a new geometry that optimizes performance, stiffness and weight of the caliper. The new caliper revolutionizes the typical design standards of road calipers with minimized curves and material reduction in the piston area for optimized design. These features enhance the characteristics of the materials used and can be matched perfectly to the shape and color of the exclusive cars for which it is designed. For this reason it was the choice of Pagani. They were impressed by its style and performance characteristics and chose it to stop the 720 hp Pagani Huayra. Quality, functionality and attention to design make this caliper unique in the current panorama of braking systems. Its elegant and refined style helps to create an exciting visual experience. This caliper can be made in many different colors and is used in conjunction with carbon ceramic discs.